GOAL: Raise $800 per therapy horse team for a total of $6,400. This will fund all our therapy horse costs for 2019! Champion a horse! Tell others about your awesome horse and solicit donations on their behalf. Make a donation to bet on your winner by clicking on their name below. Consider an In-Kind donation. Fence paint, fence materials, gravel, horse feed, horse treats. Inquire at hello@SafeHavenEM.com to see what our current needs are. **Remember all monetary and goods donations are tax deductible. Just ask for your receipt! Receipts will be sent out May 4th. Jazz is about 20 years old and is bay colored. Jazz is a off the track thoroughbred who was abandoned with around 50 other horses in Bourbon County. 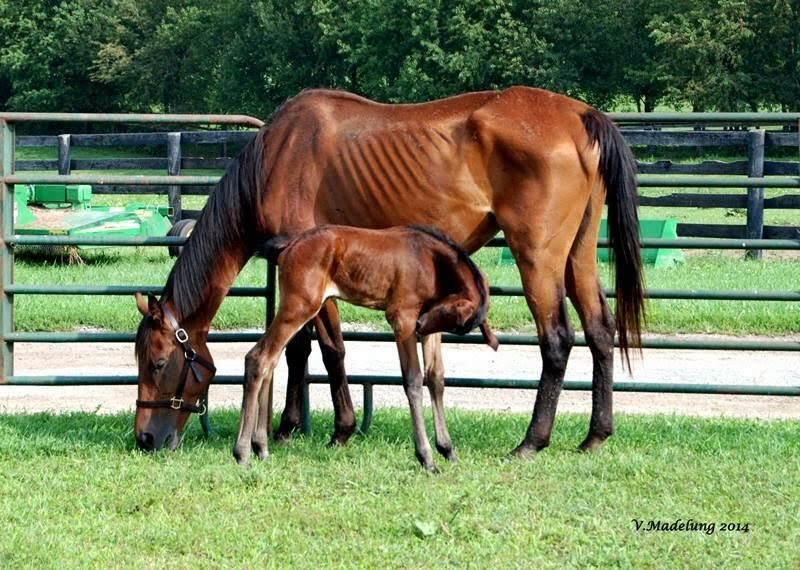 When finally rescued, she had a young filly at her side and was emaciated. After being nursed back to health by Kentucky Equine Adoption Center, Safe Haven adopted her as a therapy horse. Jazz has a very gentle, kind eye and appreciates any attention. She has worked excellently with our participants in mounted and unmounted work. Her favorite thing is to have her mane brushed. While neglected with her baby she likely thought her life was over but she has found great purpose and value as an amazing therapy horse. She works primarily with high school girls teaching them patience, confidence, and trust. Jazz has very high feed and care needs. Stitches is a paint, thoroughbred cross mare. She is about 16 years old. Stitches had one owner her entire life who loved her dearly and trained her in multiple disciplines. 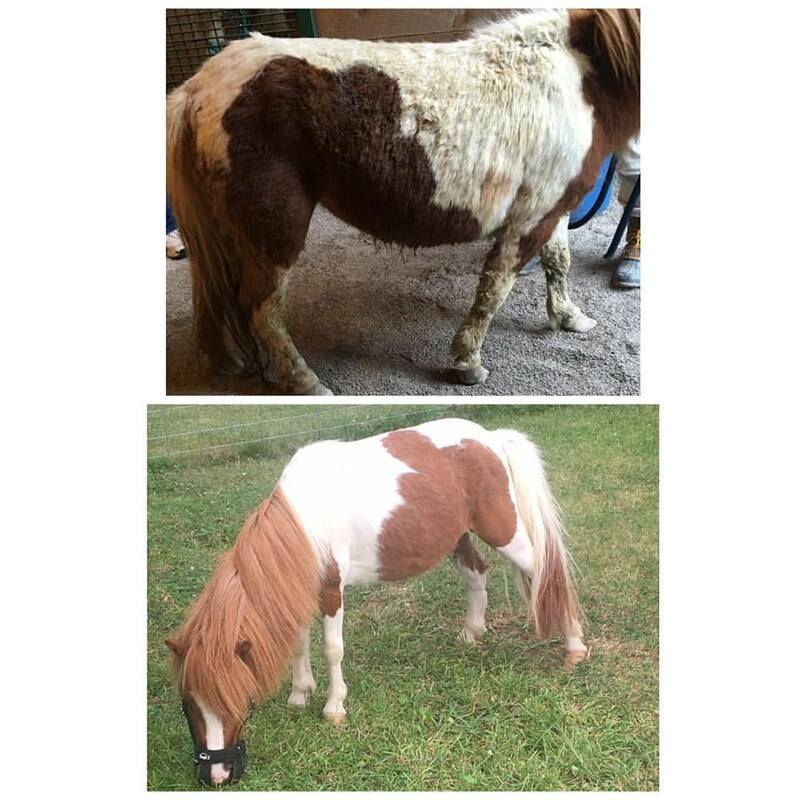 After her owner sustained a life altering injury, she was left to pasture for many years and eventually surrendered to Kentucky Equine Adoption Center. After being adopted by Safe Haven, she has been a rockstar therapy horse! She can do anything from pony rides to jumping! She serves primarily young women, teaching them perseverance, confidence, and emotional awareness. She requires some special hoof and digestive care. Scarlet is a Arabian, saddlebred cross mare who is about 18 years old. She is chestnut colored. 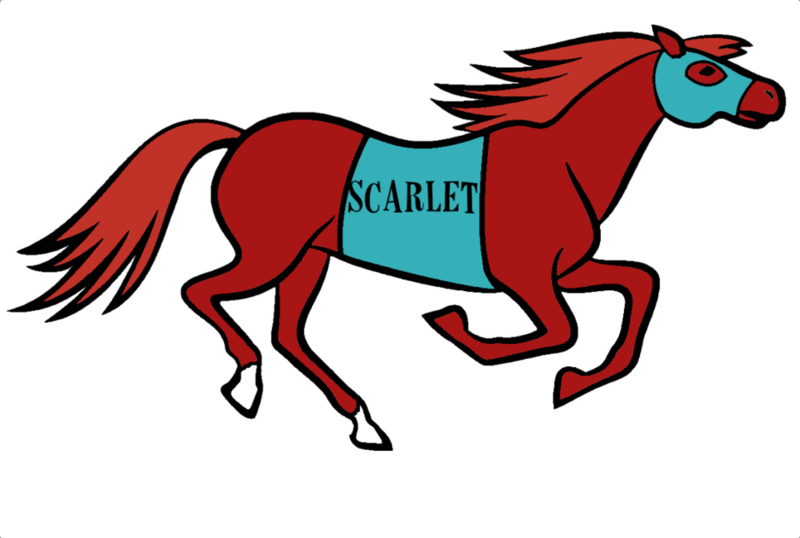 Scarlet likely had an abuse history and can be extremely anxious. She often needs to move her feet to expel nervous energy. However, put her in a wash bay and love on her and you’ll think she’s a statue! She loves to be doted on by our participants and has proven to be a quiet mount for riders as well. She is sensitive to body language and is a great teacher of natural horsemanship. She works with primarily young girls teaching them empathy, self-regulation, and trust. Sargent is a paint, draft horse cross. He is our largest horse weighing well over 1500 pounds. Sargent has had a long career as a therapy horse. He worked at another center prior to coming to Safe Haven. He is a blast to ride and extremely intelligent and intuitive when working on groundwork. Sargent works diligently as a therapy horse and is a great example for our participants. T.J.’s full name is Tijuana Steppin and Stylin. He is a Kentucky Rocky Mountain Horse. He’s liver chesnut in color and about 15 years old. T.J. was donated as a free-lease to Safe Haven. He is naturally gaited making him a very smooth ride. His curiosity and playfulness are his best qualities. He works with young men and women, teaching them self-awareness, patience, and empathy. Blaze was surrendered by his owners to Kentucky Equine Adoption Agency and then adopted by Safe Haven. Blaze is a chestnut colored Quarter Horse. He is blind in his left eye and has a white blaze down his face. Blaze is our “big, sturdy boy”. He has an extremely strong will and can be a challenge for some participants. He works with young girls and boys to teach them confidence, boundaries, and emotional-awareness. Blaze suffered a fractured femur last year and is still recovering. Pancakes, Dixie, and Milly are our mini horse herd! Dixie is a brown and white paint pony with GIANT brown eyes. Milly is a light brown and white paint pony with pretty blue eyes. She is known to become a magical unicorn once a year. Pancakes is a grey pony. Dixie and Milly were rescued from poor living conditions, overgrown feet, low weight, and worms. Pancakes was lovingly surrendered after her primary owner passed away. These girls provide some sass and entertainment on the farm! 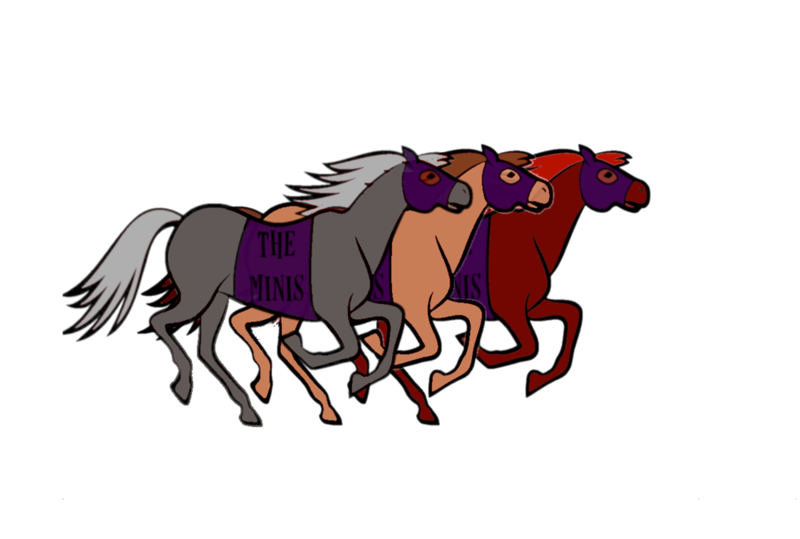 Our minis are used in our summer programming, equine education clinics, and fundraising efforts. They also provide a good option for our participants who are fearful of horses. They teach our participants responsibility, perseverance, and confidence. Waffles was adopted from McConathy Rescue after being picked up from abandonment. He has the SWEETEST personality. He was slow to trust at first, but has since become very gentle. He seeks affection of everyone he meets and enjoys being pet and fed. Waffles helps keep our farm safe by alerting us to visitors but he also functions as a therapy animal for our participants and often times their parents! Many times during session we will look over to see parents leaning on the fence, talking sweetly to our dear Waffles.